Opus RSE works with Automovilidad, a Spanish official laboratory for vehicle repairs, since 2016. 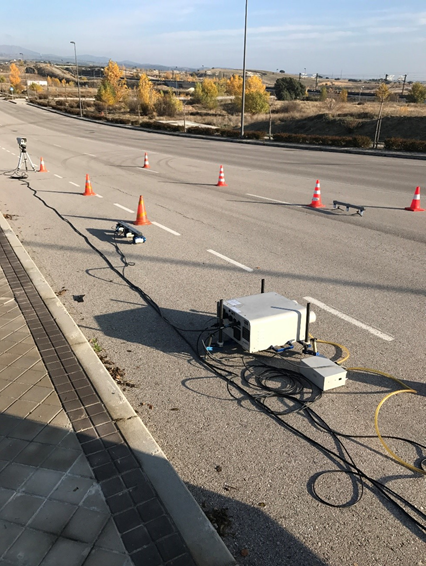 The project done between the parties consists of offering private car drivers the measurement, under real-life conditions, of polluting emissions from their vehicles. Different brands and vehicle ages are measured by our RSDs to inform the drivers about their cars' emissions. That is why this project is so important. Private drivers can know for sure which are the real emissions of their cars. We measure them several times, in different driving conditions, to define an average level of real-driving emissions. This is the only cost-effective method to really know the emissions of the vehicles. The measurements are done in selected and controlled locations in Madrid. Private drivers are called at a specific time and place by Opus RSE. They drive their own vehicle several times in front of the RSD equipment, so that emissions of each vehicle are measured several times.